2005 Ultimate Tournament of Champions Round 1, game 18. A Lerner & Lowe song lyric goes, "Thank heaven for" these people, "they grow up in the most delightful way"
In Genesis 1, God gave the name Heaven to this, from the Latin for "support"
It's a corn tortilla rolled around a filling in a flute-like shape, so its name is Spanish for "flute"
(Hi, I'm Kate Monster.) 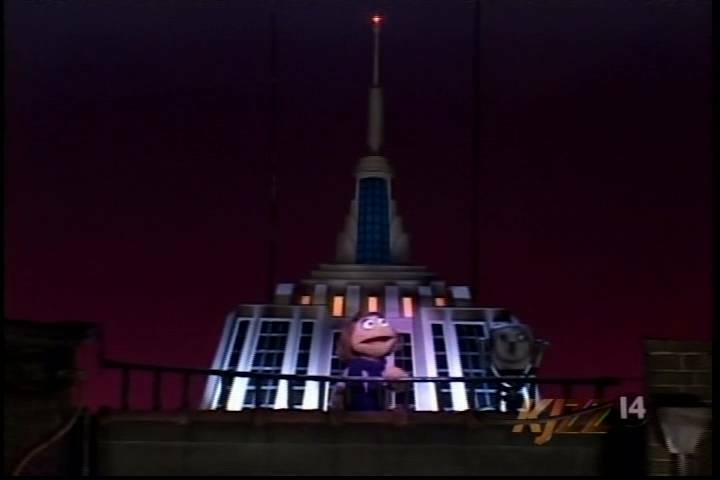 And in "Avenue Q", atop this famous skyscraper, I sing "I Wish I Could Go Back To College"--don't forget to say "What is"! It's often described as bow tie pasta, but its name comes from the Italian for "butterflies"
Act I, scene 1 of this Sondheim musical introduces us to "Nippon. The floating kingdom"
The name of this pleasantly bitter herb is derived from the Latin fenum Graecum, which means "Greek hay"